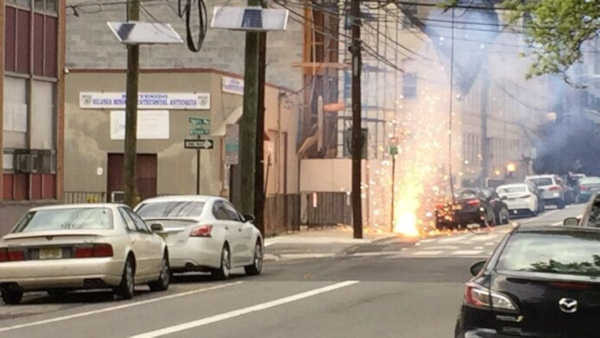 HOBOKEN, New Jersey (WABC) -- More than two thousand customers were without power in Hoboken Saturday night, after strong winds knocked down power lines. Power was shut off in order to fix the line. Service was restored after 9 p.m. The extreme heat from a downed line also melted asphalt, ignited a car and broke a water line.